In esoteric and healing circles, as well as in all types of natural healing, there is already exists recognition of the hidden aspects to the physical body. These include the energy bodies, the meridians and the Chakras. In this article we deal mainly with the Chakras. To be really effective enough to balance and heal the Chakras, we first need the knowledge and information necessary to locate them, in order to assist them back to balance and health. Secondly, we need the skills, training or talents necessary to make a positive difference, and to apply the correct vibrational or natural energy correction, as these structures and systems are energetic in nature. Thirdly, we need to monitor and maintain these as the Planet and all who live here undergo the shifts and waves of constantly changing and upgrading vibrational frequencies. All Chakras deserve being treated with care and respect. The In-Body Chakra are the energetic nerve centers of the body, they nourish the body and its vital parts. And the new Extra-Ordinary Chakras are vital to nourishing the esoteric and subtle body anatomies. Knowing about them is not enough. Being care-full is important. You need to be in a neutral space (having no personal agenda) when working on another, and in as peaceful a space as possible when working on yourself. Learning about how you can use Vibrational Healing or Energy Healing is vital to make a positive difference for yourself, or you can use meditations specifically designed to assist these processes, or consult with a properly trained professional, therapist or healer. You will also find some in our shop specifically intended for this new anatomy, and more will be added as they are recorded. Even those living in idyllic areas are experiencing the unsettling energies visiting all those on this Planet at this time, and navigating through these often requires a greater degree of Chakra understanding for the Sensitives and Empaths in this world. What worked in the past may no longer be as effective for the present, and also may be totally inadequate for the future. Our approach to Energy Healing and Vibrational Healing has to change to cope with these changes in energy, vibratonal frequency and impact. As I have mentioned in several places in my posts, we are moving into a new phase, and our energetic anatomy has shifted gears accordingly. These new Ascension Chakras, these Extra-Ordinary and Evolved Chakras have been emerging in stages over the last 30 years or so, with the recognition of the Higher Chakras and in a more recent time-frame of the last 10 years; all contributing to the new evolved Human Chakra system. The changes and upgrades include the New Earthing Chakras for current and future grounding and anchoring of the Higher Chakras in the higher frequencies; the new Psychic Chakras for a better interpretation of Cosmic and Light Codes; and the new Signal / Survival Chakras for identifying where blocks, shocks and traumas exist in the body or are triggered for release to enable spiritual and Soul advancement. These are above and beyond the normal Major Chakras, and can thus be categorized as the ‘Extra’ Ordinary. To take license with this, this term ‘extraordinary’ also can mean: surprising, uncommon, exceptional, special, remarkable – in short, the opposite to ‘normal’. These Chakras are not the ‘normal’ Major Chakras that most of us are familiar with – the main system relating to the basic colours of the rainbow. With the detection and revelation of these new Chakras and Chakra systems, I also learned about the New Vital Chakras specific to our spiritual evolution and journey. Visions and experiences of these started in 2001 and continued for many years. Notes were taken and some research and experimentation was done to confirm their existence. 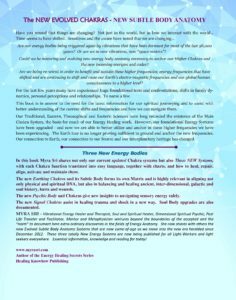 It wasn’t until several years later when I was shown the new human Earthing Chakras as well as the Psychic Body Chakra system and Signal Chakra system that I remembered my earlier notes. These new systems actually incorporated the earlier notes which had been put away ‘for future reference’, and I realized I had been preparing for these for some time. Ten or so years ago, I started sharing the information, and these grew into workshops. 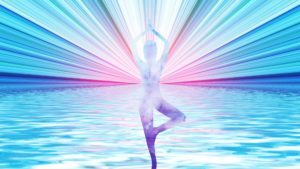 In recent times, several excellent energy and vibrational healers have pushed me to write about these new Chakras so that others may benefit from this knowledge. Which I have done. And now I am sharing this with other Light Seekers and Light Workers. include the Ears, the Navel and the High Heart. As notes at the back of ‘Secrets Beyond Aromatherapy’ referred readers to this page, (which included all of the information now posted / transferred over to the new website ‘http://www.newevolvedchakras.com) there is a small reference here. The Ear Chakras are part of the new Psychic Body Chakra System. 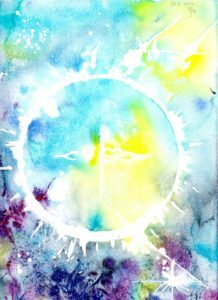 They also serve in another new etheric body, and are part of the Sensory and Recognition Survival System in the new Signal Chakras. More is contained in the new book. Regarding the Navel Chakra, some have included it in with the Main 7 Chakra System, calling it the 8 Chakra System – the In-Body Chakras. There is than an anticipation that it is on the same level, in the same etheric dimension, as the Main Chakras (Base, Sacral etc) but it is not. It is also a key connection point to several subtle bodies. Some of this information is in ‘Secrets Beyond Aromatherapy’ with more comprehensive coverage of these and all of the new body systems in the ‘New Evolved Chakras‘ book. The High Heart is another heart centre, mainly present only in those on a spiritual journey and who have evolved on a spiritual and Soul level. The combination of both hearts can be referred to as the ‘Twin Hearts’. The Shoulder Chakras: there are several shoulder positions and I will not spoil it by telling you all of the different points here, however, I can say that there are not just Joint Chakras present around the shoulders. And Chakras in this area are vital to maintain balance at a deep level in the body and the ability to maintain balance when the world threatens overwhelm. The Earthing Chakras are an amazing unique system to themselves… Working my way through balancing these for myself uncovered so many hidden aspects of issues that held me back and that were not reachable via the Main Chakra System, nor the Higher Chakra System. Each system complements the others, and when one is aware of the various actions of each system, it gives us a bigger picture as to our state, our potential and our evolution. 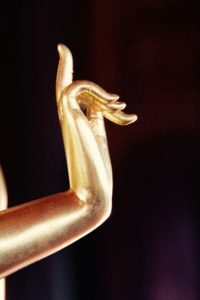 Spirituality is not just about the software, the inside thinking, the intentions. It is also about the hardware, the actual energetic anatomy body that houses and holds the inner intentions. Putting perfect fuel into an old car will not give you much response, as they are used to crappy fuel. Putting crappy fuel into a state of the art supercar will also not give you much improvement. You will not get the best effect or the best value from either. One needs to match the other, and it is the same when we look at operating systems with computers and which type of actual computer used – new and improved software usually works best with new and improved hardware. When we have an advanced Spiritual Chakra System, then we can hold advanced Spiritual energies and wisdoms. As mentioned, I have devoted a website to these advanced Chakras now, so if you wish to know more, you may find what you are looking for at newevolvedchakras.com or you can find so much more in the book. There are more and I will write more about these. 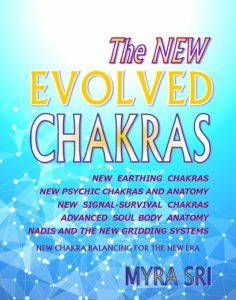 They are in the full colour book ‘The New Evolved Chakras‘ available on Amazon (currently only in paperback), from myself, or from good online bookstores.